I noticed there wasn't an IU topic, and considering she's like my favorite solo artist out there right now... I decided it had to be done. (Radio) Sweet Sorrow Ten Ten Club: Fixed Guest? 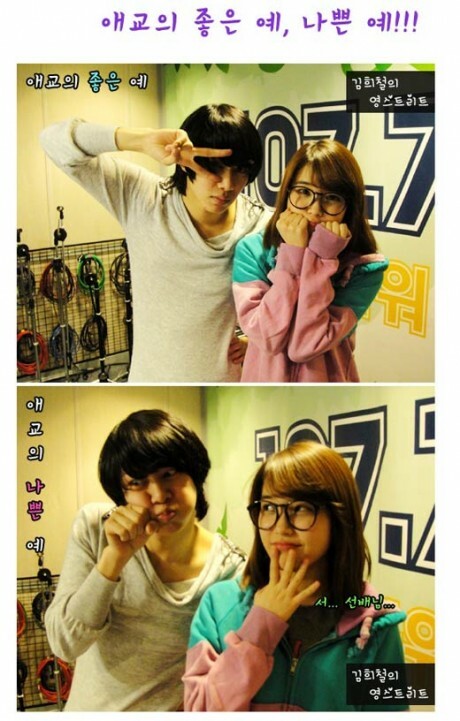 (Radio) HeeChul's Young Street: Fixed Guest? Here's a new medley! She's always covering other artists songs with her geetaur, and I noticed this one because of Manyage. This kid is adorable and freakin' talented! Her voice is so soulful, exactly what I need sometimes! I ALWAYS tell people this, and they are probably sick of hearing it lol, but she reminds me of a young Younha. I think its mostly their passion for music and how that comes across. someone go upload her singles/album ^^ ? ^ I uploaded the first album and second mini album. It's in the first post. The first album has all the songs from the first mini album except for the instrumental. I actually don't have most of the OST stuff myself. Sad news, IU is finishing up her hosting duties on Gom Music Charts! But I bet you can still watch past episodes of her on demand at the site I linked above. IU - Gee - accoustic vers. Came to know about IU after watching Korean drama Queen Seon Duk. Nevertheless she is young and talented with a sweet voice. IU and Taeyeon tag up with aegyo! ^ Couple of my favorite girls in the industry. IU's hearty laugh was all up in that vid too Taeyeon's aegyo is jjang! is she doing any live TV shows? CRAZY!! IU, four radio broadcasts three fixed a big success as a guest! and Heechul's new show, Young Street. She looks like Hyori in the last 2 pics there lol. Family Outing Hyori, not U Go Girl Hyori.